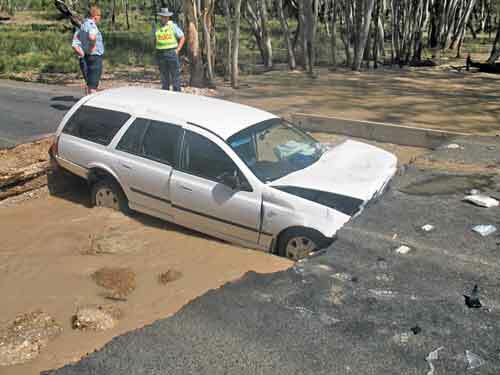 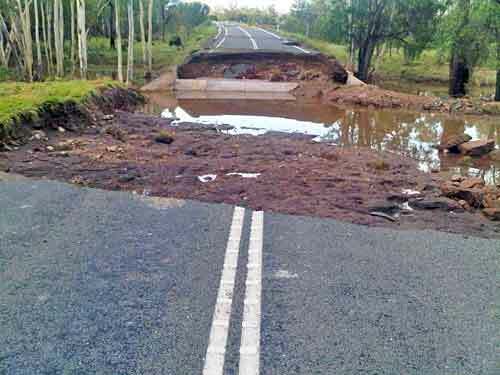 This page shows some of the devastating effects of the 2011 floods that recently affected 3/4 of Queensland with devastating effect on people and infrastructure. 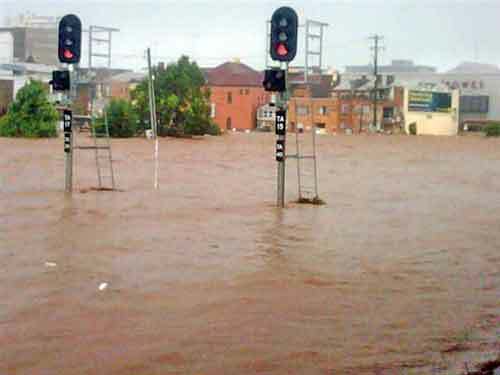 My apologies to individual photographers who have not been credited. 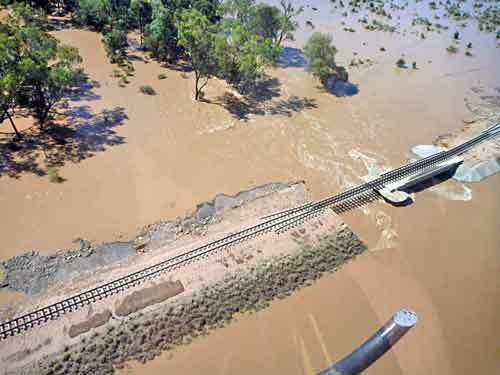 Normally I try to credit every image but these photos were circulated via e-mail during the floods and the source was often obscure. 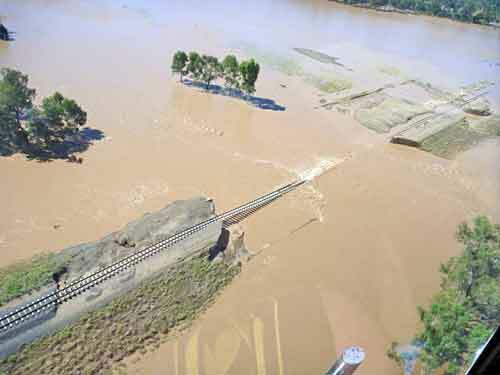 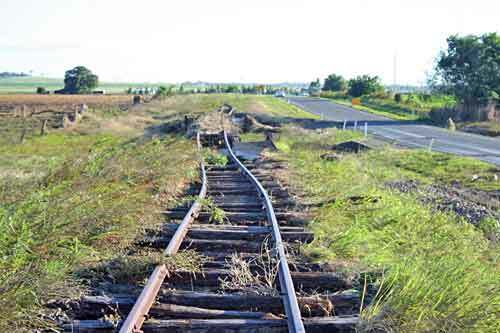 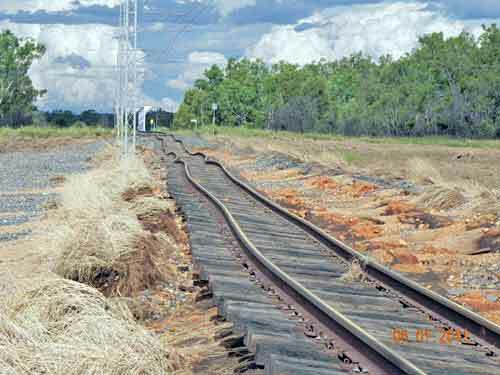 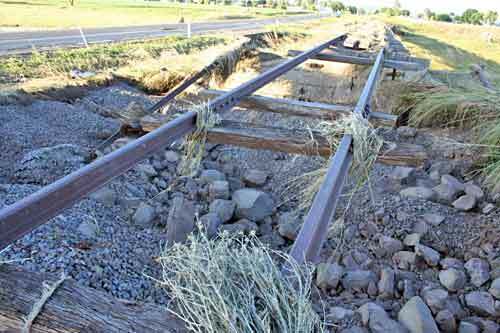 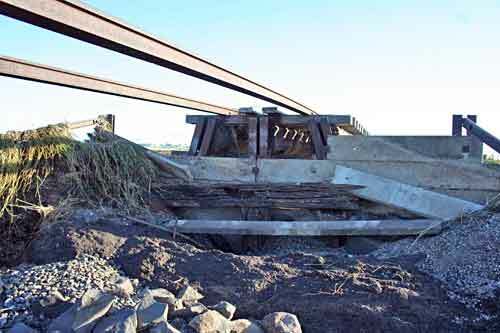 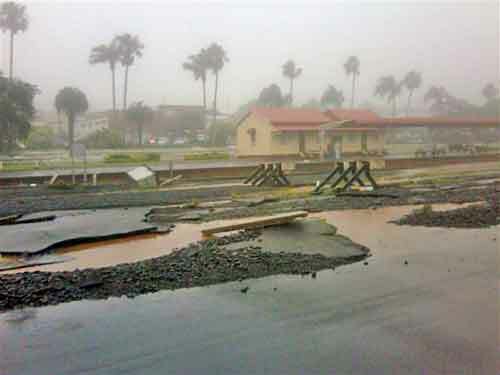 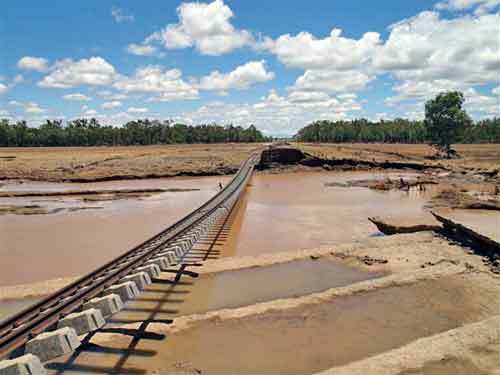 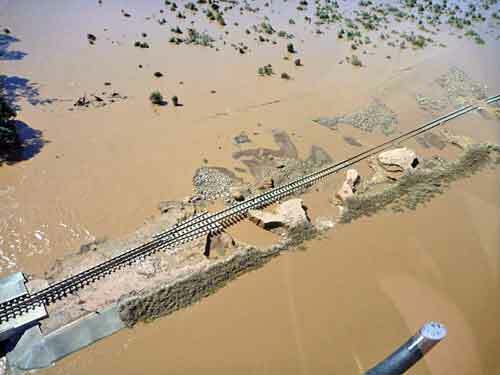 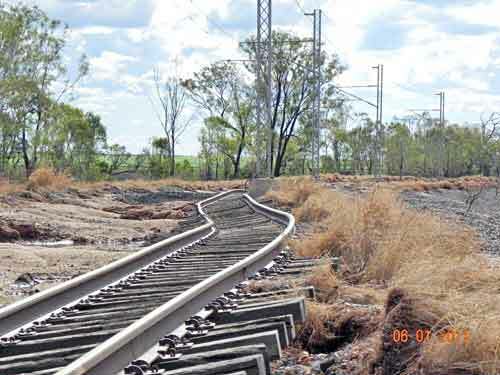 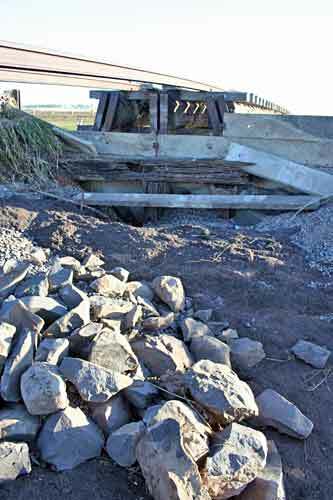 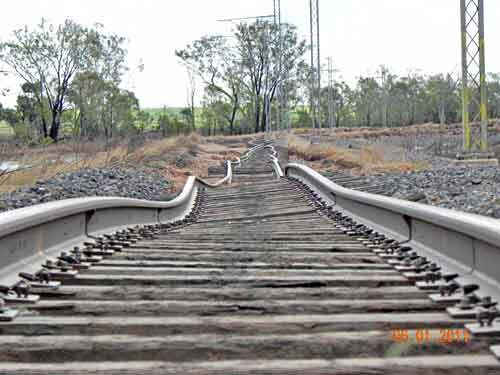 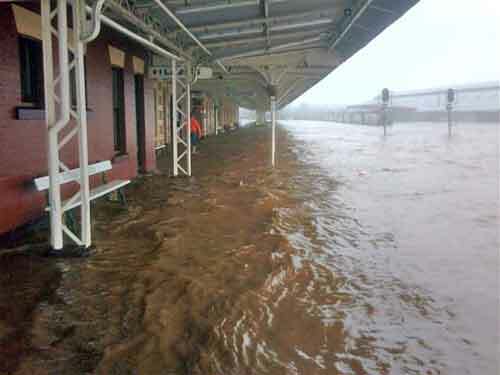 Rail lines and other infrastructure in all parts of the state have been affected. 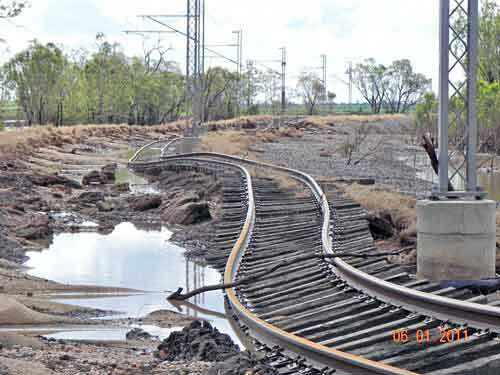 Almost every mine has also declared 'force majeur' on their export contracts as they are unable to have coal and other products that underpin the Queensland economy shipped to the ports, even if the mines were dry enough to continue producing. 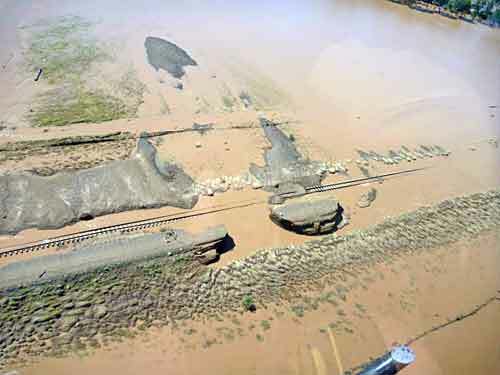 It will be months before some of the rail lines are reopened and a similar amount of time will be required to drain coal mining properties, some of which form new inland lakes. 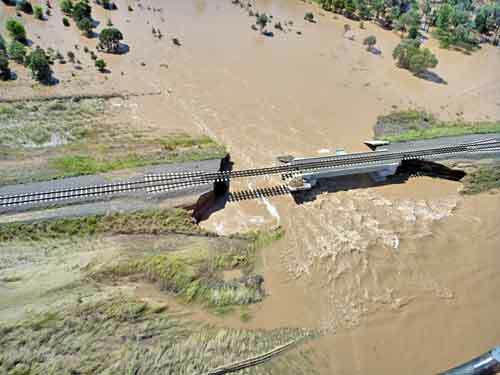 Please refer to local newspapers (eg The Australian, The Courier Mail, The Morning Bulletin) or other media sources (eg ABC radio/TV) and NASA's Earth Observatory site for additional materials, especially for how the floods affected specific communities, regions or commodities. 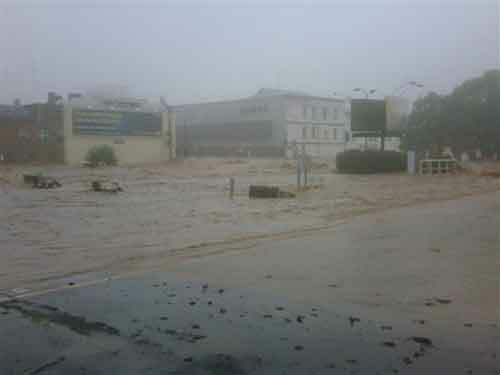 Scroll down for additional images. 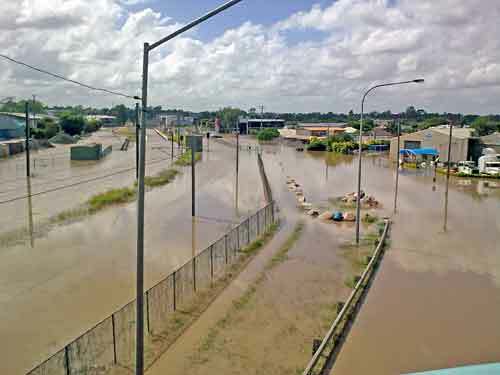 NASA flood map of Rockhampton area (pdf file showing before and after satellite images). 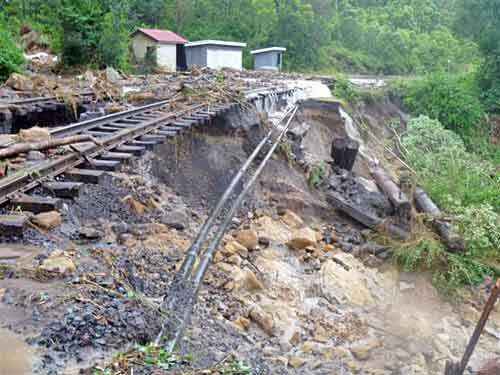 Dawson River invades coal mine (short wmv video file for download).